My apologies for the story delay. I'll elaborate on at least one of the reasons why there was one when the next story comic is actually posted, as I don't think I can actually do so here in any meaningful way that wouldn't be a SPOILER! Not a big spoiler, mind you, but a spoiler nonetheless. 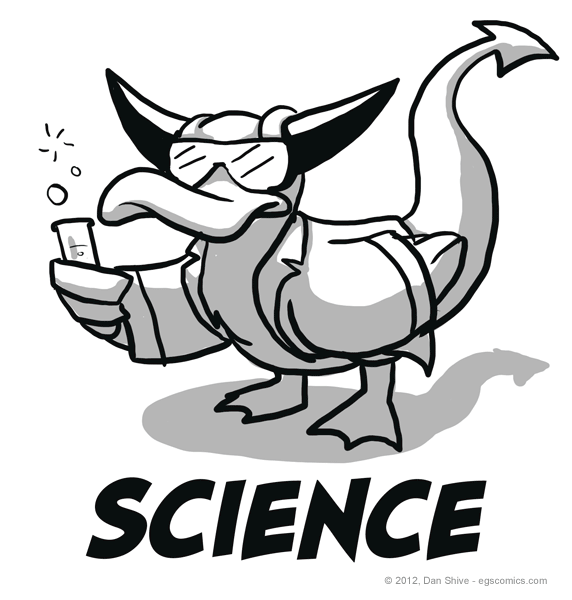 In the meantime, demonic duck science. Not real science, mind you. He's just wearing that lab getup to pick up chicks.